Mobile friendly responsive website design. We help you get found! for all your print materials. At Wildwood Design, we pride ourselves on creating high quality, innovative, attractive websites. Our websites reflect your objectives, are easy to navigate, and are custom designed exclusively for you, all at affordable prices. Do you want a website you can edit yourself? Using Wordpress, we can create an editable full featured, mobile web site just for you. Wildwood Design also provides graphic design services for businesses and individuals. We can provide you with your corporate identity, logo creation, business card design, advertisement design, layout and design for your flyers, brochures, catalogs, announcements, newsletters and more. We can also have your project printed for you at unbeatable prices. 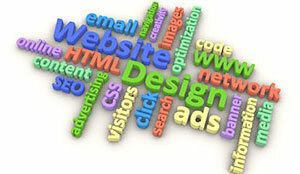 Wildwood Design builds your site to be search engine friendly for maximum Search Engine Optimization. We'll guide you on the ins and outs of Social Media networks and what it takes to "get found." Wildwood Design has been designing and maintaining our website for years. If we ever have a request or question, she responds immediately and offers several solutions. She provides affordable and high quality services. I would not hesitate to recommend to family and/or friends.